Mesut Ozil has begun dominating the headlines once again, after having failed to reach any sort of agreement with Arsenal to extend his stay in North London. The playmaker appears set to depart from the Emirates outfit, as he will be free to negotiate a move away as soon as the winter transfer window reopens. The midfielder has been linked with the likes of Barcelona and Manchester United recently, but with a player as talented as the German international available in the transfer market, top clubs from all across the world ought to prepare themselves to fight for his services. With his current Arsenal contract set to expire in the summer of 2017, Mesut Ozil will be capable of joining any club he desires on a free transfer at the end of the ongoing 2017-18 campaign. However, if Arsene Wenger wishes to not lose his talisman for free, the Frenchman could facilitate a move in the January transfer window itself, wherein the midfielder would still leave the club for a price that’s far inferior than the one he’s actually worth. Either way, any interested party will be able to secure the player’s services for cheap, which is an absolutely rarity given the current conditions of the inflated transfer market. 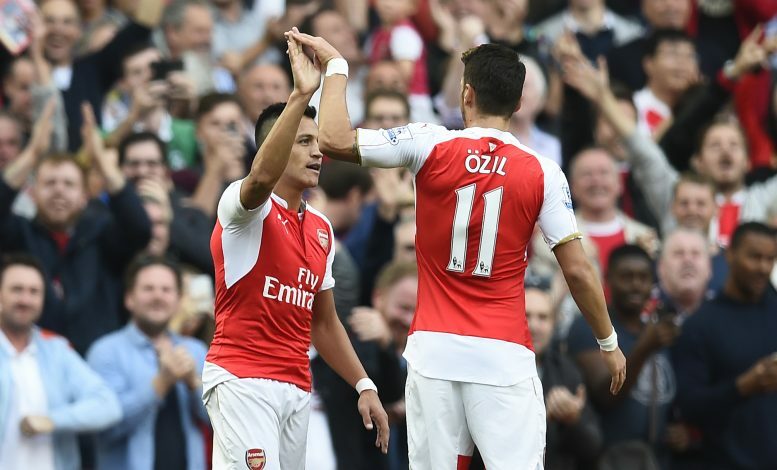 Over the years, the name Mesut Ozil has become synonymous to assists, as the German simply lives to provide. He is truly a blessing for the forwards in his team, and his stats prove just that. 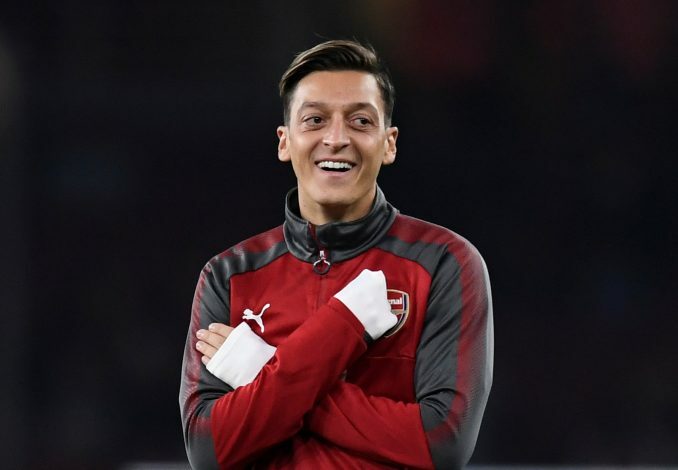 Ozil is the only player in the history of European football to have recorded the most assists in a single season in 3 major leagues – the Bundesliga, La Liga, and the Premier League. He bagged 17 assists for Werder Bremen in 2009-10, 17 for Real Madrid in 2011-12, and 19 for Arsenal in 2015-16 – all of which were enough for him to top the assist charts in those top-tier competitions. And despite having experienced a mixed spell in England, the Gunners’ star has provided 45 assists in the Premier League since making his debut in September 2013 – more than any other player. Furthermore, the midfielder has displayed his sublime creation skills on the international level too, as he finished as the joint-highest assist provider at the 2010 World Cup as well as the Euro 2012. In short, when Ozil is on the field, it is always a safe bet that he will provide his teammate with sure-shot scoring opportunities. After having bagged a DFB-Pokal title with Bremen back in his homeland, Ozil secured a dream switch to Real Madrid, where he enjoyed major success with the Galacticos. He played an instrumental role in helping Los Blancos win a La Liga title, a Copa Del Rey, and a Supercopa de España, before departing from the Spanish capital. Since his move to England, Arsenal’s Player of the Year for the 2015-16 season has also helped the Londoners win 3 FA Cups, along with a Community Shield. However, his biggest achievement till date remains the World Cup win with the German national team back in 2014. These accolades prove that along with assists, Ozil also brings a plethora of winning experience with him, which will prove to be vital for any club looking to add more trophies to their cabinet. Despite having won 3 domestic cups with Arsenal, Mesut Ozil remains frustrated over his team’s failure to realistically compete for the Premier League title, as well as the Gunners’ underwhelming, and even embarrassing performances on the European stage. A player of his capability deserves a team that consistently fights for each and every major title, which is why the German international remains hungry for major success. Therefore, adding Ozil to a new world-class team could easily prove to be the decisive catalyst which would spur the club to mount a genuine title charge. Ozil turned 29 only last month, which clearly indicates that he still has an ample amount of time to spend in his prime years, before the age of decline even begins to rise from the horizon. Therefore, snapping the Schalke academy graduate up on a cheap would be a wise investment for any club, as it would give ample amount of returns on the field, as well as off it, given the superstar’s world-wide fame and marketability. Both Barcelona and Manchester United are believed to be in dire pursuit for this genius’ signature at present, but it remains to be seen which club finally ends up grabbing the headlines by pulling off this masterstroke of a signing.